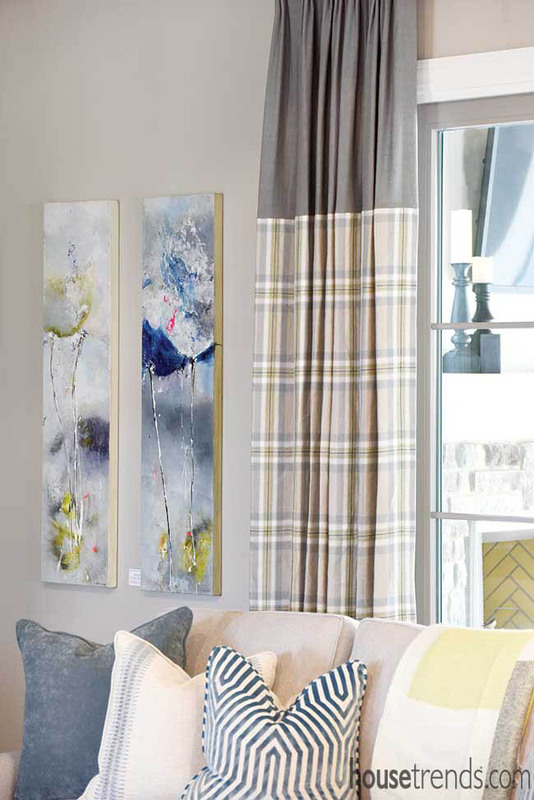 The traditional tartan print even turned up on laundry room wallpaper, carpeted stairs and great room curtains. 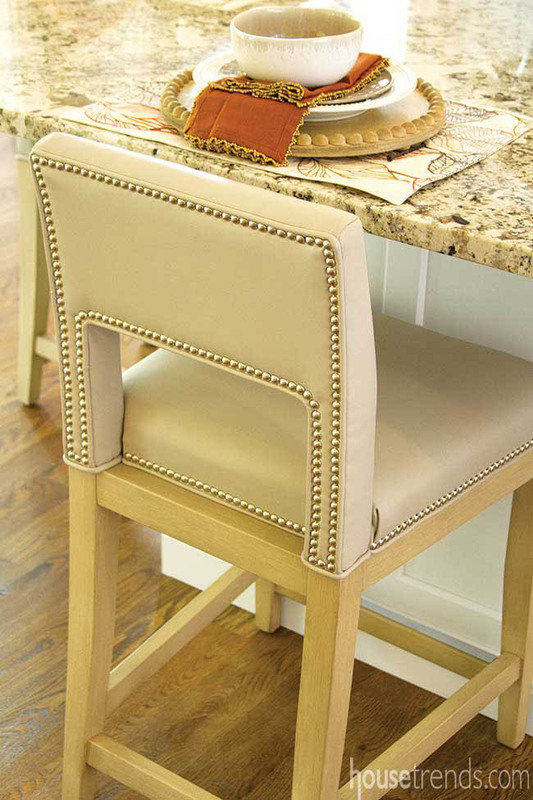 Nailhead-trimmed upholstery and plaid, for example, were no longer corralled in the home office. 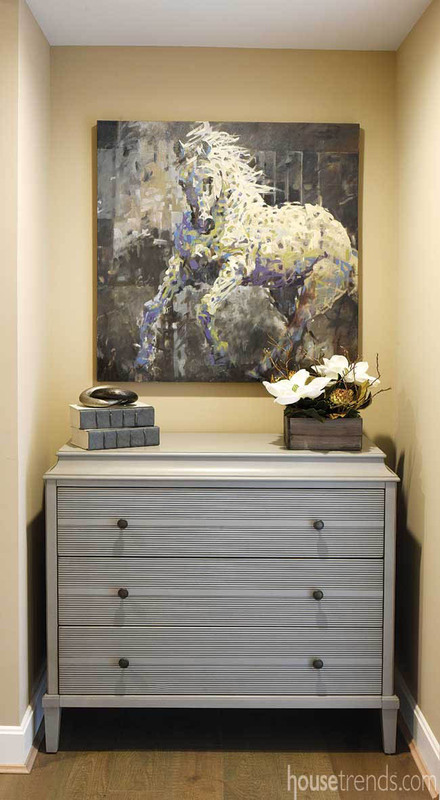 The farm-fresh aesthetic likewise spanned into classic territory, with HOMEARAMA® homes displaying a stable’s worth of horse-themed artwork, accessories and other details associated with a stately equestrian lifestyle. Throughout the show, most of the antlers and wall mounts are rendered in metal, crystal, Lucite or glossy ceramic, calling to mind eclectic luxury rather than taxidermy. 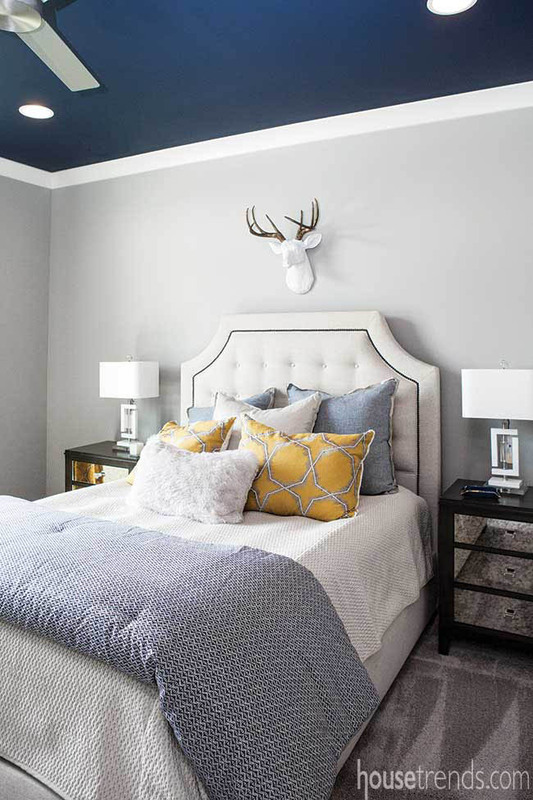 On the room’s black built-in shelving, individual antlers seem more sculpture than trophy, presented individually and perched on Lucite stems alongside modern brass accents. 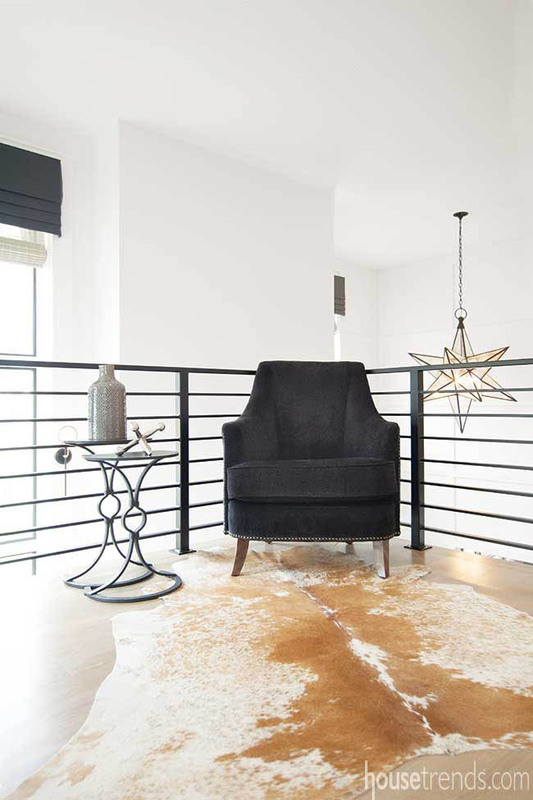 Here, the black-and-white of a cowhide rug became a crisp pattern to complement a bold abstract painting. 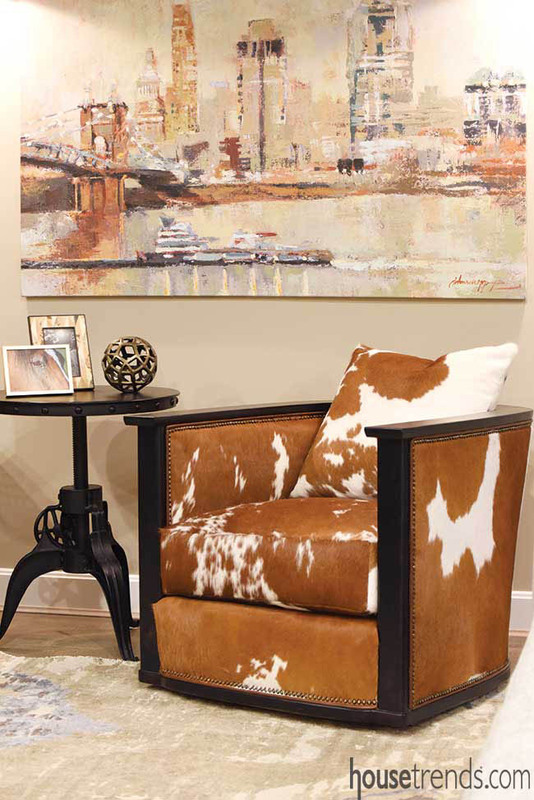 Cowhides and cow portraits were everywhere, including in the study of Stonewood by Frazier Homes. 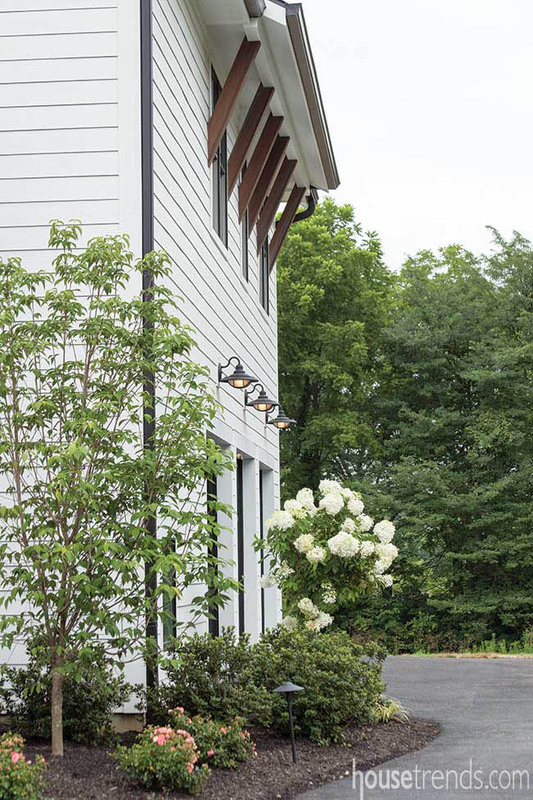 Just as some farmhouse details leaned Western, others looked across the pond. Stone archways provided subtle visual separation in the open floor plans of The Ashby Manor by Wieland Builders, Joan Marie and The Savannah, where Italian stone was laid in a 1,000-year-old design. In this home, traditional wrought-iron light fixtures and a hall cabinet with iron-screened doors conjured visions of a European homestead. 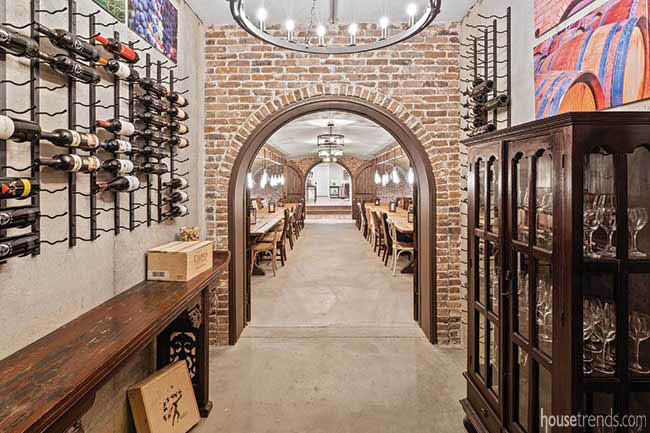 Distressed brick—another material that can lean into the industrial or agricultural zone—also was a popular material for main walls as well as accent spaces. Outdoor lighting likewise walked the line between the two styles, with gooseneck and cage downlights flanking more than one garage entry. 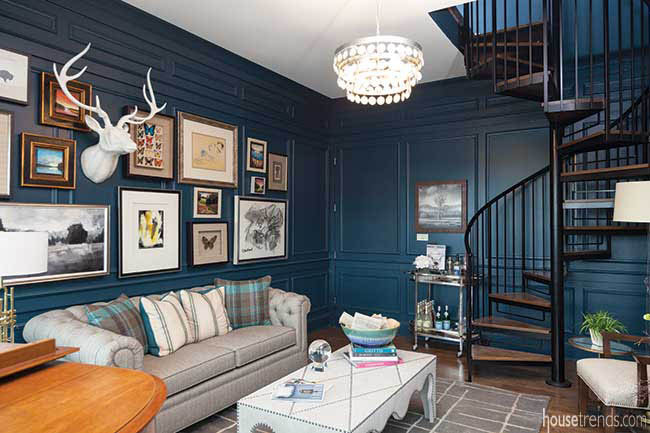 Many elements in this year’s HOMEARAMA® entries would feel just as home inside a factory as outside a barn. 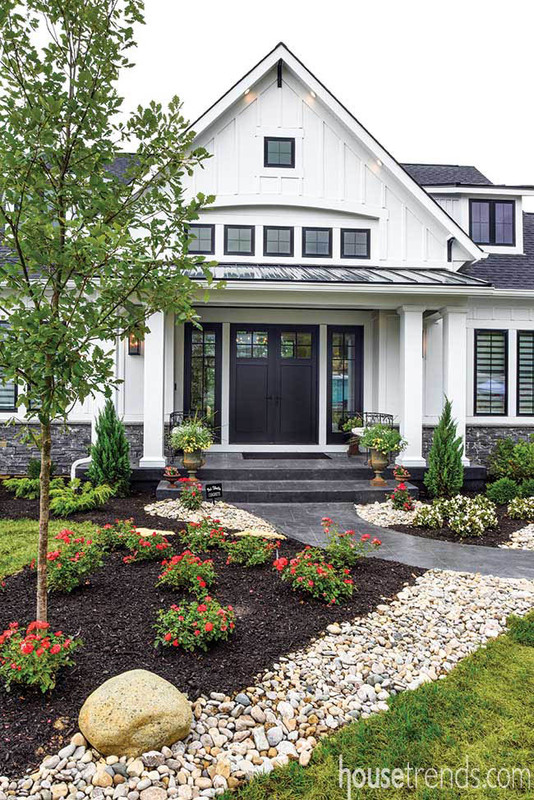 And while both The Savannah and Heritage B by High Pointe Custom Homes double-down on farmhouse flavor—the former features a steeple while the latter boasts ornamental gable trim, the vertical alignment and black casing of the windows give each home a contemporary air. 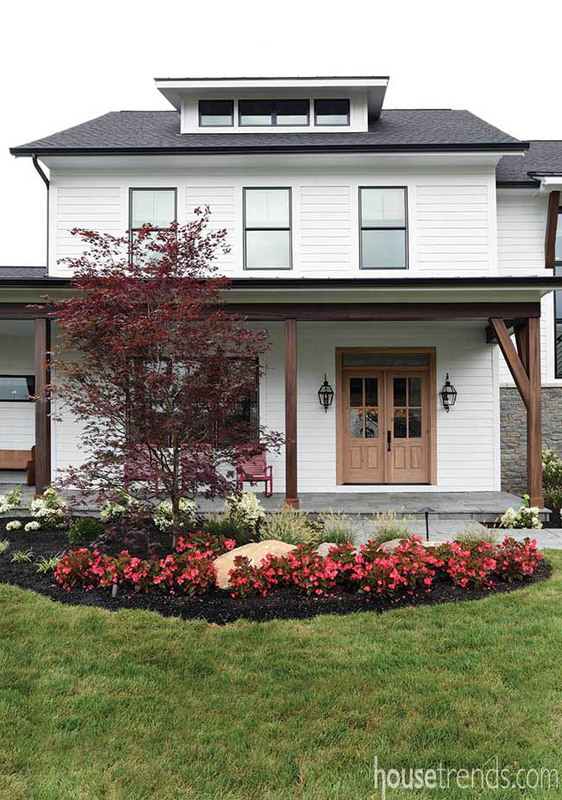 At The Woodburn by Sterling Homes, for example, a modern transom dormer and elongated window tweak the classic farmhouse composition.